Bob Freking is back with a new Nokia Lumia concept, the handset pictured below. Nokia Lumia 1025 is a slight revamp of the Lumia 1020, that has been launched last month with a very impressive 41 megapixel camera. Nokia Lumia 1025 packs a Full HD ClearBlack PureMotion HD+ display from Nokia, the latest Intel Atom processor and for some reason, instead of Windows Phone 8 it runs Windows 8.1 full version. At the back we’ve got a Pureview camera with the Pro Cam app included, Xenon flash, optical image stabilization and audio Rich Recording. The smartphone features a thinner and lighter aluminum chassis, wireless charging and the designer claims he would throw the money at this device, if it were real. 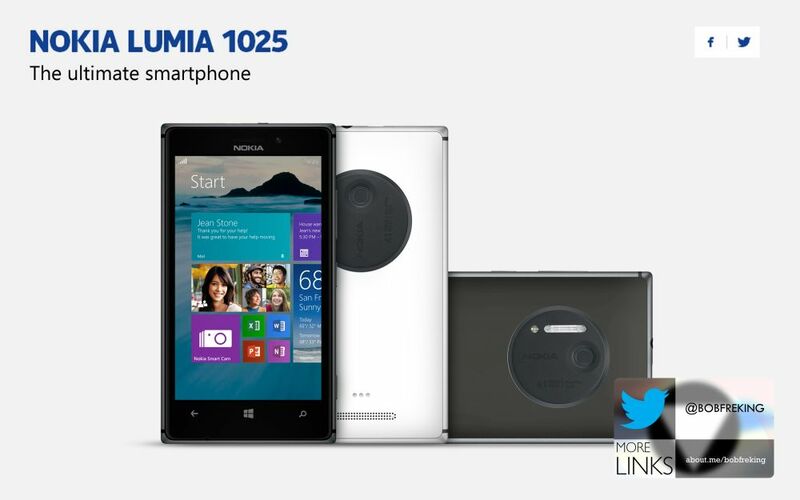 The back design is totally Lumia 1025, especially the big camera area. Will a Windows 8.1 Nokia phone exist in the near future? Sony Google Nexus 5 Concept Gets Rendered and Priced by Ben Ling Nokia Lumia 2002 is a Pureview Keitai: Clamshell Power!